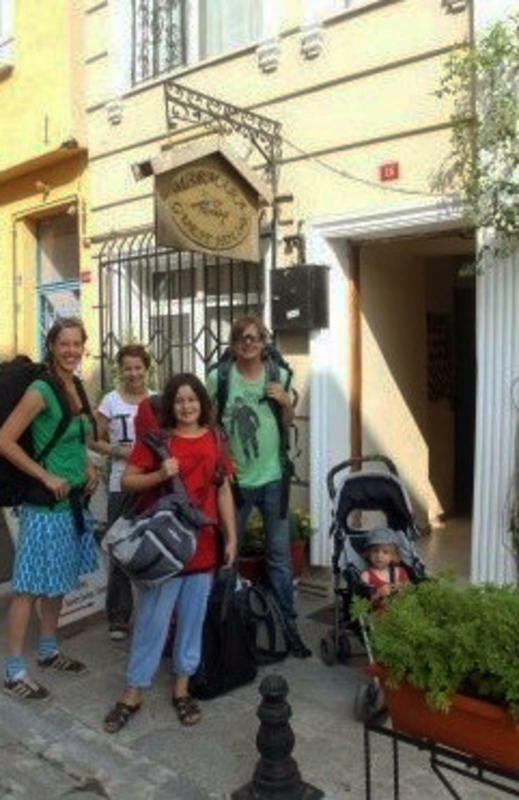 This is the only Guesthouse in Sultanahmet runs by a Turkish family. This is a small -clean and quiet guesthouse with great sea view terraces,Please note that we are not a big hostel with lots of peoble and full of noise.If you look for a disco -bar please dont book with us . You can enjoy traditional Turkish breakfast (you will love my mum's hand made jams) with watching see gulls or try the traditional Turkish coffee with exciting view of the Bosphorus&Marmara Sea and view of St. Sophia at our beautiful terrace. Especially night time you would feel great on the terrace under exotic atmosphere of the ancient city. We have one covered terace and two great open air terace and all of them have great views of the Marmara sea and St. Sophia. The location of the hotel is very close to the heart of the old town, an easy walk to the Blue Mosque, St.Sophia Museum, Topkapi Palace and Grand Bazaar as well as to all kinds of public transportation points. We offer single, twin, double, triple and the rooms for 4 peoble with private facilities. Our rooms have big windows ,the rooms on the upper floors with the view of Marmara Sea (total 15 euro extra per day) to Asia and Princess Islands or with balcony. All the rooms have private facilities, air conditioner and all the rooms have central heating.All the rooms are non-smoking rooms. Please note that we provide airport pick-up service for our guests from Ataturk Airport and Sabiha Airport. It costs 25 Euro for all from Ataturk Airport, it costs 60 euro for all from Sabiha Airport. We need your flight details to meet you at the airport. You can exchange your books with us ,we have more than 100 books in our library. 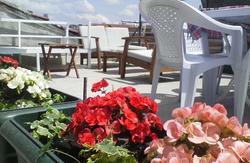 Marmara Guesthouse has library ,internet, laundry services and beautiful roof terraces. All rooms include a breakfast. The breakfast is traditional Turkish type with free hot drinks and with my mum's hand made jams. Breakfast is served on our terrace all year with a panoramic view of St.Sophia Museum, Marmara Sea to Asia and Princess Islands. 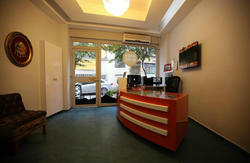 We have free internet for our guests and also wireless internet connection troughout the guesthouse. So, you can connect internet with your own notebook for free of charge. Cancellations can be made up to 3 days a head of arrival without charge; otherwise one night is billed to the card. Please note that in order to secure your booking, you may be required to provide your security number/CVV number on the back of your credit card. We may contact you if we need this. Failure to provide this number could result in your booking being canceled. Please note that we provide airport pick-up service for our guests from Ataturk Airport and Sabiha Airport. It costs 25 euro for all (up to 4 people) from Ataturk airport , it costs 60 euro for all( up to 4 people) from Sabiha Airport. get on the tram which will bring you up to Sultanahmet. You can take the subway going to Aksaray. Get off and take the tram going to the Sirkeci direction. Get off at Sultanahmet stop. 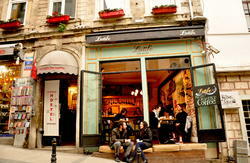 It takes just a few minutes walking from Sultanahmet stop to Marmara Guesthouse.